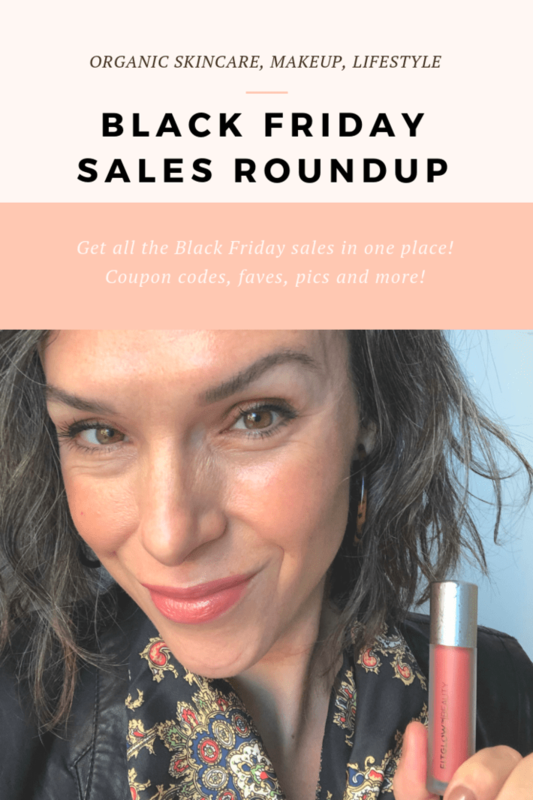 Black Friday + Cyber Monday Sales Roundup! So excited to bring you this year’s Black Friday/Cyber Monday Sales Roundup! This was by far one of my most popular posts last year so I’m bringing it back and making it better than ever. I’ve included green beauty deals as well as some lifestyle deals for products I love and use. This list is broken up into two sections; Green Beauty and Lifestyle. I’m also listing a few of my faves from each brand to get you started although these brands have so much to offer – have fun exploring! Sales are listed in alphabetical order for easy access. Although I’m starting off with two of my all-time faves that only go on sale once a year. Both True Botanicals and Laurel are MUST TRIES! I’ll be adding to this list as the week progresses and new deals release. So bookmark or Pin this post and be sure to check back often! ALSO – if you just CAN’T WAIT, check out the This Organic Girl Preview Event where you can shop some of my favorite Black Friday sales EARLY AKA, NOW! The True Botanical’s once-a-year sale is here! 20% off everything!!! Plus earn a $10 credit for every $50 you spend. Be still my heart!!! This sale goes live at 12:01am PST on Black Friday through 11:59pm PST on Cyber Monday. True Botanicals is third party clinically proven to deliver results! The CLEAR line which will change your skin! It literally beat out Proactiv in third party clinical trials and it got rid of my hormonal acne in three weeks. Read about my experience here. 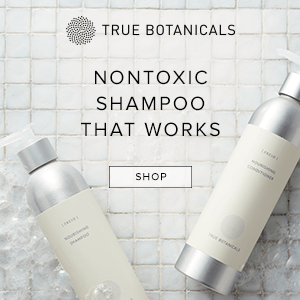 Nourishing Shampoo + Conditioner – This shampoo changed my life and is one of the only clean shampoos that actually works for me. Pure Radiance Body Oil – Smells amazing, feels amazing and sinks right in! Resurfacing Moisture Mask – A 2-minute facial mask that delivers a beautiful glow! Laurel only offers ONE SALE A YEAR! This Thankful Sale is an appreciation sale for their customers and not related to Black Friday. Receive 20% off your entire order with code THANKFUL Friday 11/23/18 -Monday 11/26/18 – Orders over $100 receive complimentary shipping. What makes these gifts so special? Honey Rose Spice Mask- an abundance of local organically farmed Roses raw California Orange Blossom Honey, and warming spices of Tulsi, Nutmeg and Vanilla come together to firm, brighten and tone in this hydrating enzymatic mask. Hydrating Jasmine C Elixir- this whole plant Vitamin C and flavonoid rich Hydrating Elixir includes Hibiscus, Camu Camu, Rosehip and a genuine Jasmine Hydrosol made by the only artisan distiller in the world who has mastered the distillation of the delicate flower. And it’s not yet even released!!! Honey Berry Enzyme Mask – Brightens, hydrates, cleanses and adds an unparalleled glow. One of my fave masks of all time. 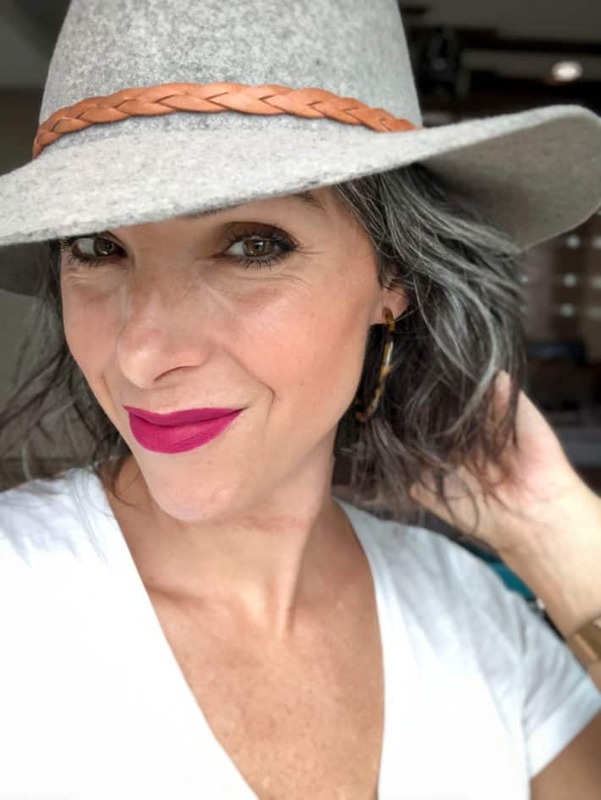 Sun Damage Repair Serum – The color will have you at hello – not to mention it’s out of this world nourishing and moisturizing but it sinks right in. Brightening Mask – I can literally see the difference after one use. This brightens and evens skin tone like a boss! 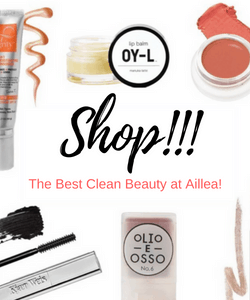 AILA 8-free nail polish – The cleanest polish I’ve found. Lasts way longer if you use their Better Than Gel Top Coat. Agent Nateur holi (rose) No.4 deodorant – My all-time favorite deodorant! 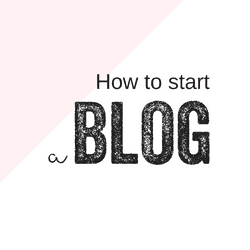 Read why here! Clove + Hallow Lip Velvets (the best green beauty lip stain) and Conceal + Correct (a killer concealer). See all the Lip Velvets applied here! Henné Lip Tints are off the chain – love the color Intrigue. Kjaer Weis Cream Blushes, Cream Eyeshadow in Alluring and Lipstick in KW Red. Organic Sheet Masks – Love the Vitamin C Revitalizing one! RMS Living Luminzer (a light highlighter) or Magic Luminizer (a *shazam* highlighter), Vintage Cake Liner, Swift Shadows and Signature Set. Stacked Skincare – love this micro roller! A foaming face and body wash I love for the shower. Made with just a handful of ingredients. Use code BF30 for 30% off at checkout. I suggest…. 30% off your entire order (site wide) using code: BLACKFRIDAY2018 – Free US continental shipping on all orders over $25.Offer valid from midnight Thursday 11/22/18 to midnight 11/25/18. Grab their Natural Eye Pencil in Noir – super soft and transfers like a dream! 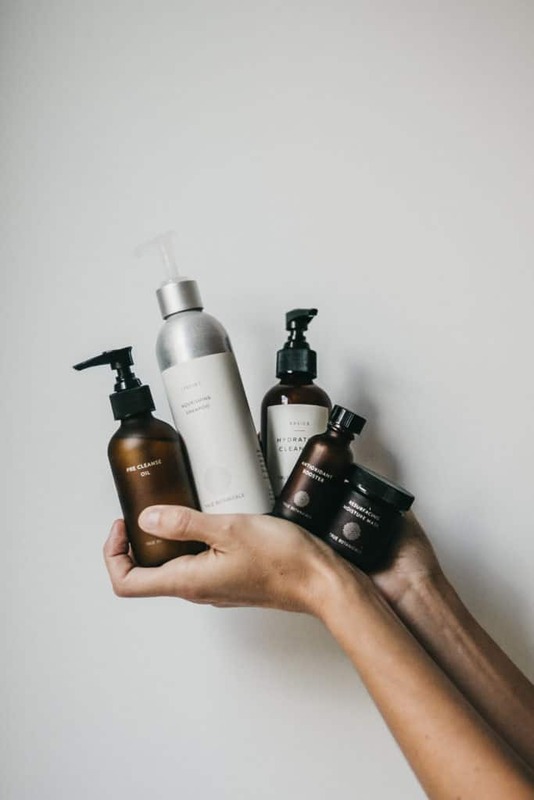 THE CLEAN BEAUTY BOX: 15% off of ALL subscriptions – AOFAMILY – (this applies to 1st payment for the 1st billing cycle *all subsequent auto-renewing charges will process at the regular non-discounted price). Gift With Purchase: Receive our exclusive Organic Cotton Pouch & Kahina Giving Beauty’s Travel Beldi Soap in Neroli (a value of $25). This applies to all store orders of $150 and above and it needs to be added to your cart upon checkout (it will be visible at the top of every product collection page as well as linked in our promo bar at the top of the website so it’s easily found). Supplies are available while stocks last. Au Naturale is sustainably sourced, PETA Certified Vegan and Cruelty-Free, gluten free, made in the USA cosmetics. Black Friday: 70% off all items in the sales tab. Starts Thursday 11/22/18 – 11:59pm Monday 11/26/18. No code needed. Also, as a reminder, all domestic orders of $75+ receive free shipping, and international customers can use code GLOBAL200 for free shipping on orders of $200 or more. 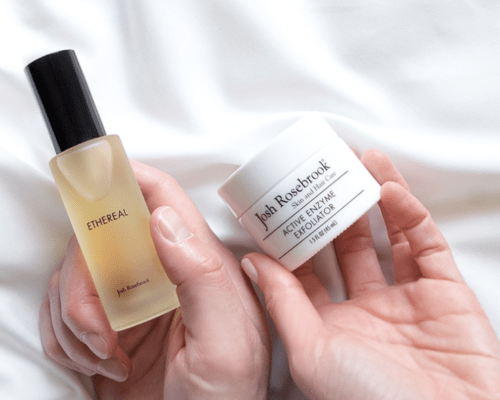 Use Josh Rosebrook Active Enzyme Exfoliator 1-2x a week for soft and glowing skin! Ayuna Cream II – The best cream moisturizer, you will die! Active Enzyme Exfoliator – Josh never goes on sale and I love this exfoliator! The Unveil cleanser by MAHALO – a lemony/cacao green balm that emulsifies with water – takes all my makeup off. So good! Max & Me – The only place you can find this brand in the states and now it’s on sale!? Heck yeah! Love everything I’ve tried! Use the code launchship to receive worldwide free shipping on any one-time orders that include an Angela Roi Vegan Handbag as part of the order. And once you place your order, you will receive a site-wide code for 20% off any future one-time order (exclusions : 2 cycle, 3 cycle & 6 cycle boxes). You guys know I can’t get enough of their Lip Velvets!!! Grab their brand new holiday eye shadow palette! SHOP CLOVE + HALLOW HERE! From Friday, 11/23 through Monday, 11/26, spend more and save more at Citrine! Get $100 worth of FREE clean beauty! Starts Wednesday, November 21 until Tuesday, November 27 (we will have a sale section on Tuesday, Nov 27). Free gifts valid while supplies last. Discounts applied automatically! We are offering 30% off all full price items Thanksgiving through Cyber Monday, 11/22-11/26. Use code HOLIDAY18 at checkout. SHOP THE GREEN GODDESS SHOP HERE! “Get One, Give One” sale. Beginning on Thursday, November 22 through Monday, November 26 at ellovi.com, for every BUTTER or LIP BUTTER you buy, you receive one for free! Clean, simple ingredients. No code needed. STARTS TODAY (11/21) through Monday. Excludes Josh Rosebrook, gift cards, services, shipping, handling and taxes. SHOP FIG AND FLOWER HERE! Available now (VIA the TOG Preview Event) through Tuesday 11/27/18! Codes below! Grab all the Lip Serums! These not only look amazing, they are not stick, add just a hint of shine and best of all they actually nourish lips! Follain’s Black Friday: 20% off with code GETCLEAN starting Thursday 11/22/18 12pm EST through Sunday11/25/2018. Follain’s Cyber Monday: 20% off with code CYBER20 starting at 2PM EST on Sunday 11/25/2018 and ending on Tuesday 11/27/2018 at 9AM EST. 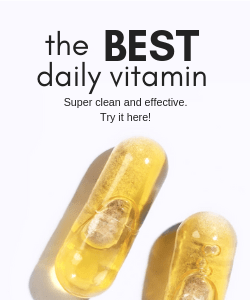 Hanns Dottier Elixir of Minerals – draws moisture in all day! 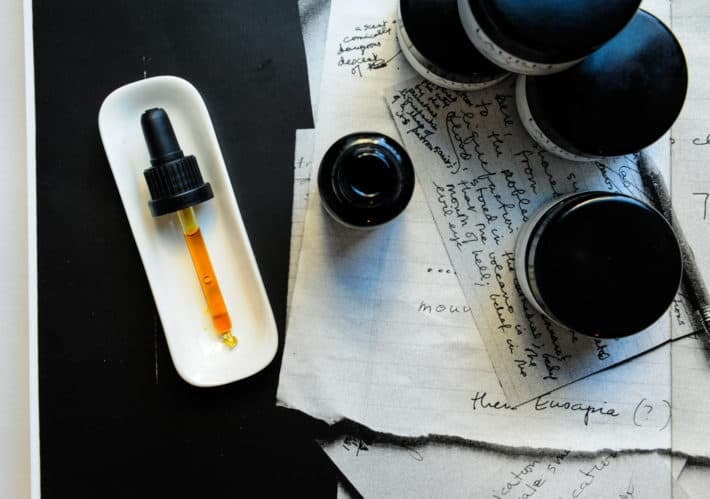 Kahina Giving Beauty Eye Serum – my fave eye treatment, soaks right in! Gressa Corrective Serum Foundation – this oil-based foundation is magic. Cocokind Highlighter Stick (Only $13!) – steal of the century! 30% off with code BLACK2018 through Cyber Monday! In lieu of a Black Friday sale, Innersense Organic Beauty will donate 15% of web sales from the weekend to Food Rescue US to kick off our philanthropic efforts “Innersense Organic Beauty’s Season of Giving”. While there aren’t any sales happening, Innersense does encourage the community to purchase their favorite products so that they can help contribute to and create the 15% that will be donated on their behalf. I use their Innerpeace Whipped Cream Texturizer DAILY to tame my waves! Ayuna’s Cream II Rich, a deluxe 15 ml size, a $70 value alone! Max & Me Circle of Protection Body Oil travel size, Vapour Organic Beauty Halo Illuminator travel size in a pot, a full size Fitglow Vegan Good Lash + mascara, a deluxe sample of Kjaer Weis’ Lip Gloss in Affinity, One Love Organics travel size Easy Does it Cleanser and The Beauty Chef Antioxidant Inner Beauty Boost travel size. MOSS Skincare – totally love this line, especially their Beurre Celeste Honey Infused Rinsable Cleaning Balm – my all time fave! Cyber Monday buy 3 full-sized products on the HAN website, Get 1 free. Excludes sample items. Free item of equal or lesser value to lowest-priced item in cart. Runs from 12:00AM PST Monday, November 26, 2018 through 11:59PM PST Monday, November 26, 2018. No code needed. The UNVEIL – a lemony/cacao green balm that turns milky white when water is added. Gets all the makeup, grime and daily grind off! The BEAN – detoxifies and works to even skin tone all in one hit! Plus it smells amazing like coffee and cacao. If you haven’t tried her new mist The Optimist, now is a great time. Working on my second! I’ve been using it after The Great Cleanse DAILY! I also love her Waterless Wonder Balm for lips and cracked/dry skin. The Super Couple face oil is out of this world – loaded with antioxidants + skin superfoods this is also in my top three face oils of all time. And of course, try her Highlight of the Day – an insane oil-based face highlighter that smells unreal. 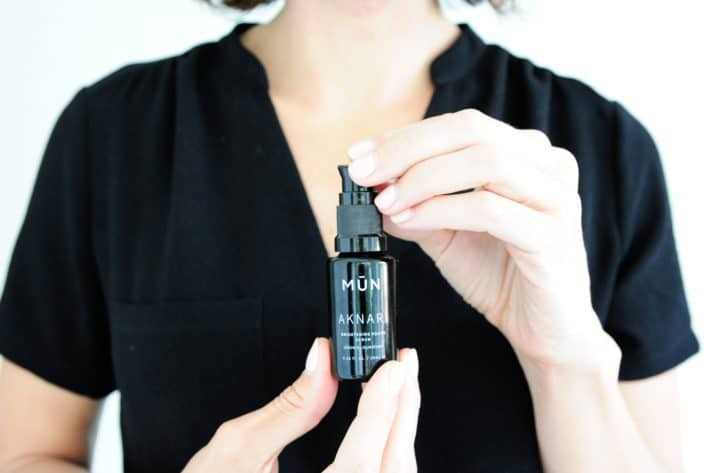 Get AKNARI – It’s in my top three for favorite face oils! So moisturizing and totally brightens. Read more about why here! Black Friday: 30% off site-wide with code CLEANFRIDAY and this includes the limited edition products as well as the gift boxes. Cyber Monday: 20% off site-wide and free shipping on orders over $25 with code CYBER. Grab Leahlani at a once-a-year-discount! Mermaid Mask – a superfood green smoothie for your skin = glowing skin like cray! Meli Glow– leaves skin soft, supple and with a more even skin tone! Friday 11/23 at 8am PST through end of day on Monday 11/26 use code PLANTS25 for 25% off your full order. Plus many items will be marked down for extra savings! You gotta try…. AER Hyaluronic Acid – I USE THIS EVERYDAY!!! So good for helping to retain moisture. LUNA Glowing Mask – Love this in the morning – totally gives me a fresh face and a killer GLOW! Cyber Monday 20% off site-wide. Details to follow. I suggest.. Soap Stash Holiday Gift – 4 of their best selling handmade, artisan, organic soap bars packaged in a cute bag! Soothing Starter Set – Great for girls, guys, teens. An all-in-one face care kit. Check out the reviews!!! 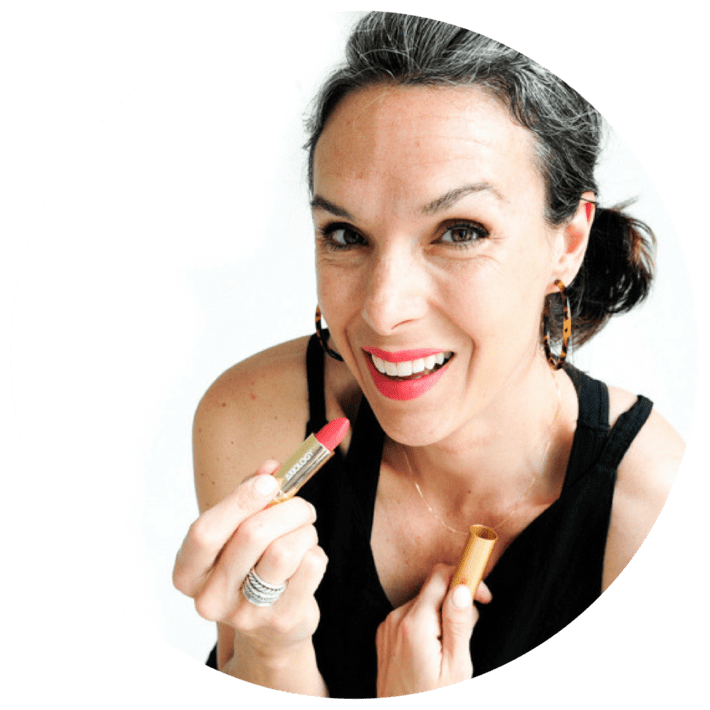 Lip Doctor – This lip balm is killer. OO Necklace! If you follow me on IG, you know I wear this ALL THE TIME! 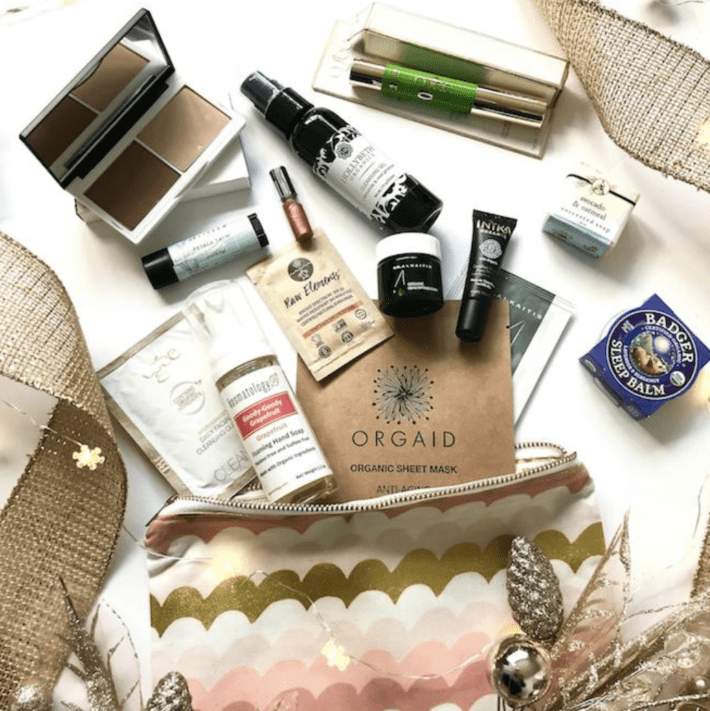 This green beauty makeup and skincare subscription delivers samples and full size products monthly for as little as $15/mo! They also have an online shop. A great option for teens! 2. You can now get 50% off your first beauty box when you sign up. Just enter GIFTNOW at checkout. This applies to both personal and gift subscriptions. 3. 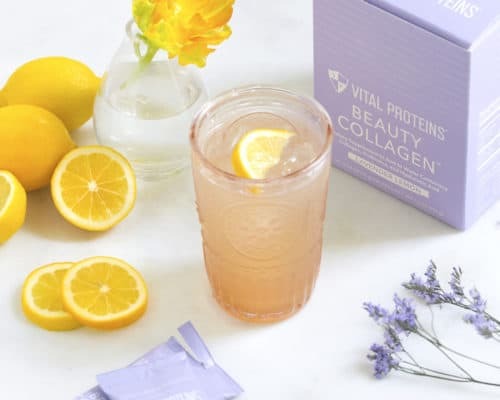 All orders $150+ get a free detox gift ($30 value) — no code necessary. 1. We just launched two customizable limited edition boxes and they are gorgeous! Daily Glam and Glow For Glow…helloooo perfect holiday gifts! 2. We have a Gifts $30 & Under collection that’s a real crowd-pleaser. Everything selected for this collection is not only under $30, but incredibly gifty too. Shop INIKA, W3LL PEOPLE, RMS, Acure….vitamins…a new kitchen sink. Pharmaca sells it all! Get the Apple + Broccoli Hair & Body Wash – This is the wash I use on my kids! 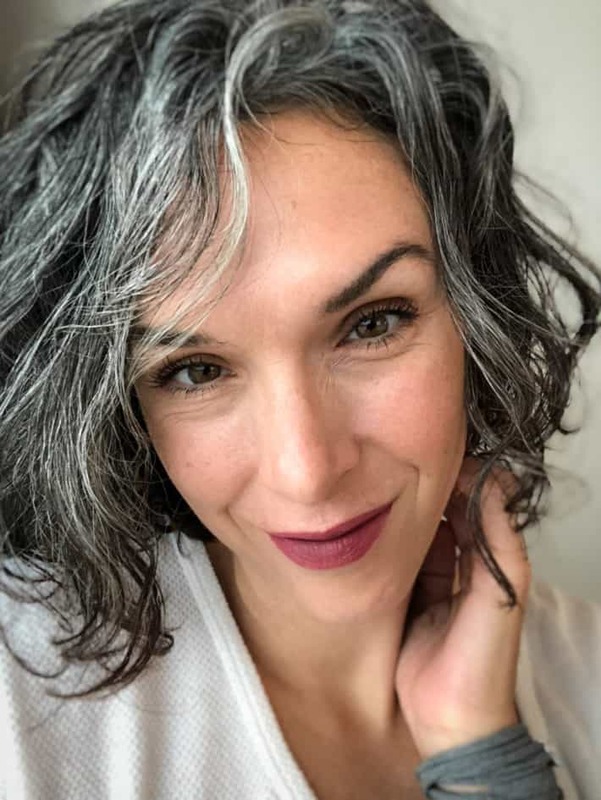 SAPPHO Brow Pomade in Taupe Gray – A perfect match for gray hair! Also, BOGO 40% off Pearl Butter with code BUTTER and 30% off Ursa Major with code MAJORFRIDAY– both excluded from the additional 20% off. 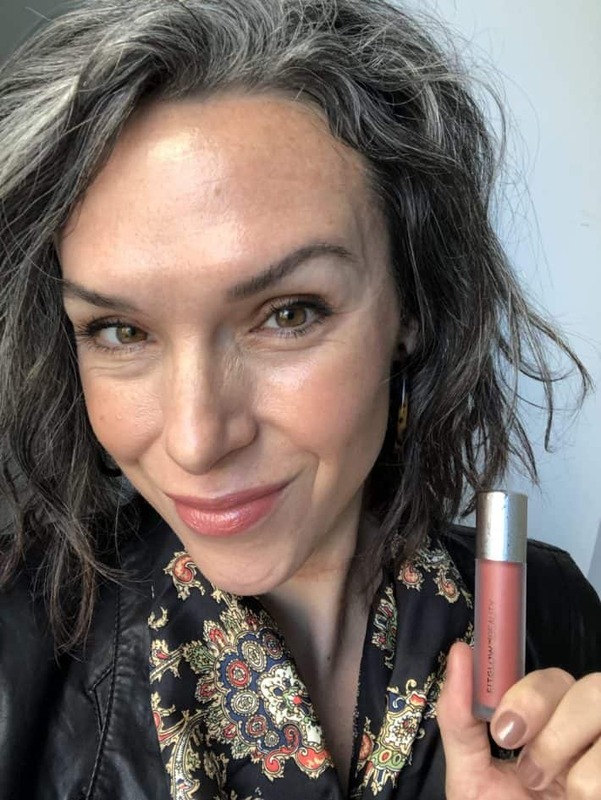 SAPPHO Essentials Foundation and Brow Pomade – love this Brow Pomade in Taupe Gray for my gray hair! Wildcraft – An affordable, super clean skincare line. Love their Face Cream. 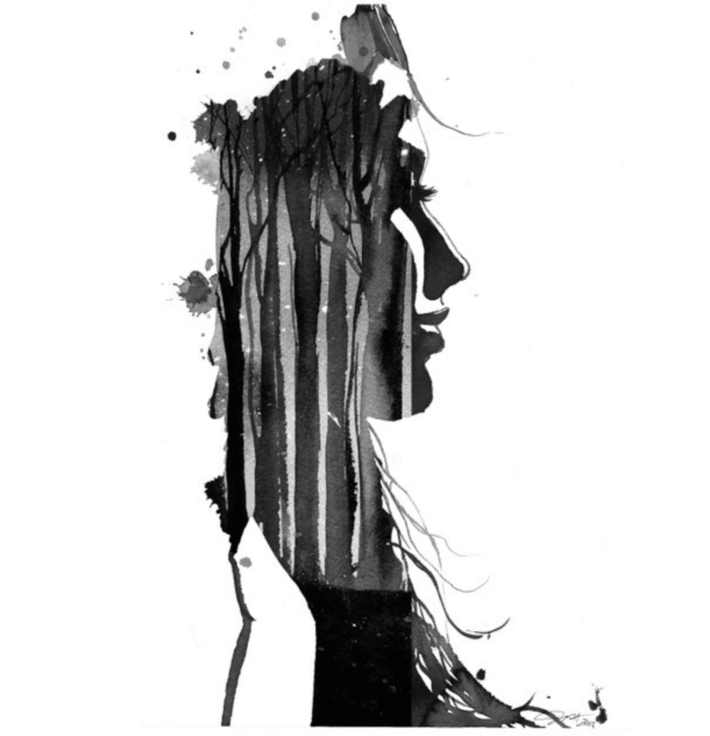 Precious Skin Elixirs – Onyx Purity Mask is divine. 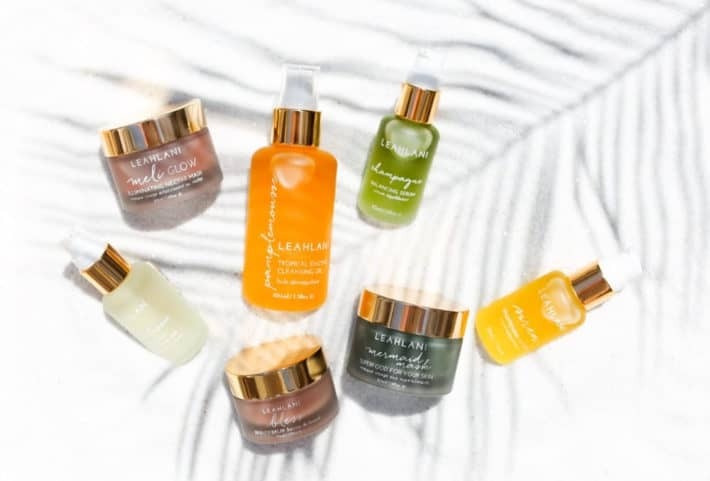 LIVE Botanical – An affordable, super clean skincare line that works! Love their LUNA Glowing Honey Mask and Hyaluronic Acid. H IS FOR LOVE – This line is amaze. Check out the ingredients on their Lip Glacé! 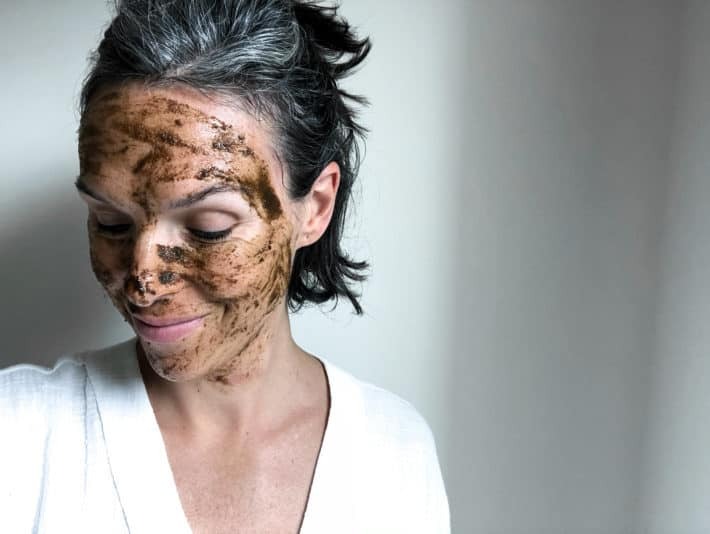 Kahina Giving Beauty – Pure and sourced direct from Morocco. Axiology – No big deal, just the cleanest lipsticks around and they come in the chicest gold click tubes. Buy 1, Get 1 50% off all full size Root products. Sale runs Thursday, November 22nd at 6pm through Saturday, November 24th at 11:59 PM (your time zone). Valid only on full-size Root products. Does not include Root trials or samples sizes, Pretty Kits, Gift Sets or Eyeshadow Palettes. Does not include products by Vera Mona, Dr. Brite, Z-Palettes or Diffusers. Not valid with additional discounts or Pretty Point vouchers. FREE ROOT GIFTS with ALL ORDERS BETWEEN 11/22/2018 at 6pm – 11/24/2018 at 11:49pm (your time zone). With any $75 purchase, get a free .45oz Beauty Sleep Perfecting Serum. Order must be $75 after discounts are applied and before shipping & taxes. With any $125 purchase, get a free .45oz Beauty Sleep Perfecting Serum, Fresh Face Cleanser and NEW Pretty Exfoliating Mitt. Order must be $125 after discounts are applied and before shipping & taxes. With any $250 purchase, get a free Beauty Sleep Perfecting Serum (.45oz), Fresh Face Cleanser, NEW Pretty Exfoliating Mitt, and 5 Piece Brush Set. Order must be $250 after discounts are applied and before shipping & taxes. Free gifts will be added manually after your order to all qualifying orders at the time in which the order is processed by Root’s shipping team. Save 15% storewide with NO MINIMUM order with code: THANKFUL – Sale begins 11/22/18 Thursday 6:00 pm EST and will run through Monday 11/26/18 11:59pm EST. 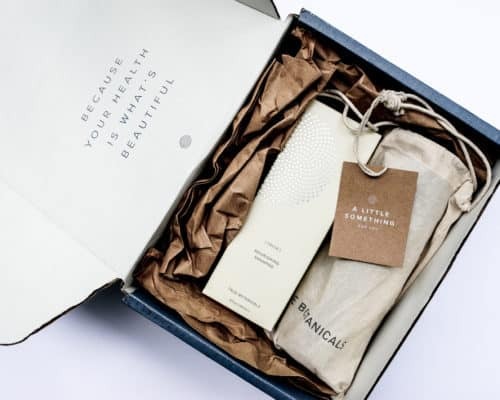 2 exclusions apply: The 2018 Green Beauty Bag that supports Living Beyond Breast Cancer (see below) and the Ultimate Glow Kit from INIKA. 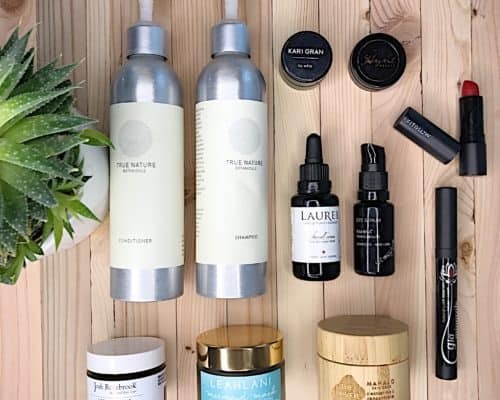 The 2018 Green Beauty in a Bag to Support Living Beyond Breast Cancer: Back by popular demand, $130 worth of green beauty best-sellers including full sizes and samples, for only $69! 15% of sales goes to Living Beyond Breast Cancer* Bag is handcrafted with organic fabric by Yeiza from Bohochic Organics! A great way to try multiple products + makes an incredible gift + GIVES BACK! INIKA Long Lash Mascara and Organic BB Cream – both faves! Kari Gran Lip Whips – Love that Pink Tinted has a little hit of peppermint. Shop The Choosy Chick here! 30% (THIRTY PERCENT) off with code SPREE30 – Runs 11/22- 11/26. I mean guys, this is the time to pick up my all time FAVE foundation!!! Atmosphere Soft Focus Foundation (I take a shade 123 – the same as the stick). Black Friday use code: THANKFUL20 for 20% off and free shipping. Read more here on why I’m calling West of South’s debut face oil a new age genie in a bottle! SHOP WEST OF SOUTH HERE! 25% off Friday-Monday. I believe it will be applied automatically at checkout. I love their..
On Cyber Monday 11/26/18, Almond Cow will be $145 – that’s $50 OFF the regular price! This sale only happens ONCE A YEAR! Make nut milks, oat milks, hemp milk or nut/oat/hemp/coconut/vanilla milk – I mean the possibilities are ENDLESS! Best part? All of this in under 5 minutes. This is a gift that will blow her away. So good to have on hand especially for those mornings when you open up the fridge and there’s no milk. Almond Cow’s got you covered! Starting on Thanksgiving look for these Berkey deals! Read more about why I use and recommend Berkey here. Holiday Royal Bundle $283 ($189 off) This is the one we have for our family of four! Grassfed beef and organic chicken delivered to your door! Sign up for your first ButcherBox and receive the Ultimate Steak Sampler–2 free ribeyes, 2 free NY strips, and 2 free filet mignons in your first order ($70 value)! Order your first ButcherBox today and get 6 free steaks, all 100% grass-fed and grass-finished, raised free from antibiotics and hormones. SIGN UP FOR BUTCHER BOX HERE! Black Friday will be a black-box one-time assortment of 4 very unique red wines. This is the first year they are offering a Black Friday deal. Click this link to check it out! Cyber Monday is the only day of the year they allow non-members an opportunity to purchase a one-time 6 or 12 bottle Classic Selection at regular member pricing. A rare chance to share a box of our Premium Natural Wines without subscribing. Click here to peep the deal! See how to choose clean wine and why choosing clean wine is super important here! 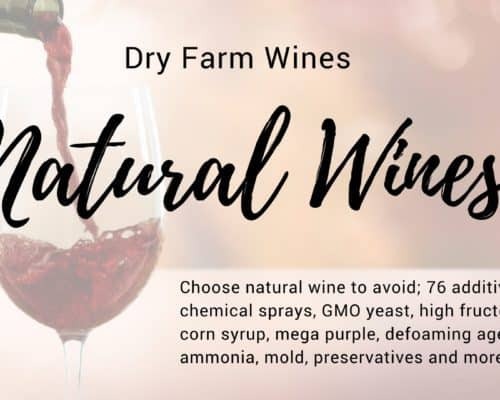 SHOP DRY FARM WINES HERE AND GET AN ADDITIONAL BOTTLE FOR A PENNY! Save $50 off Extra Value Bundles (Starter Kit + 25 extra capsules) & free shipping: HEADSTART50 – Valid now through11/26/18 at 11:59pm. Read more here about why I use this to clean everything including before and after pics! SHOP FORCE OF NATURE HERE! Black Friday: Use code BF30 for 30% off plus free shipping in the US! I have their percale sheets and they are a great deal! Super light, airy and comfy. I also have a matching duet cover on the way! Excited! MY GREEN MATTRESS – SALE STARTS TMW BUT TOG CODES ACTIVE NOW! Wednesday11/21 – Monday11/26, My Green Mattress is offering up to $200 off (based on what is purchased), however, get up to $225 off with these This Organic Girl codes! Read why I own and recommend My Green Mattress here! SHOP MY GREEN MATTRESS HERE! Starting today (11/21) through Friday, 11/23, Minted is offering 20% off holiday cards and gifts over $150+ along with 15% off everything with code BF2018! I use this company for my holiday cards every year – they even offer a recycled paper option! Nov 14 – Nov 15: 2-Day Black Friday Early Bird Sale! Get 25% off braisers, dutch ovens, sets, 8 Qt, 12″ skillets, and covered woks. 15% off all other cookware. Nov 16 – Nov 21: Thanksgiving Sales Event! 25% off all cookware sets, 15% of all open stock cookware and teapots, 10% off all accessories, and up to 60% off bakeware, bowls, and mugs. Nov 22 – Nov 23: Black Friday Starts Early! 20% off or more on everything site wide, sets and teapots are 25% off, free shipping on orders over $100, and special web-buster deals. Nov 24: Small Business Saturday! 20% off everything plus use code THANKS10 for an extra 10% off and free shipping over $100. Nov 25 – Nov 26: Cyber Monday starts early! 25% off or more on everything, free shipping over $100, plus special web-buster deals. Nov 27: Giving Tuesday! 25% off or more on everything plus 10% of sales donated to Cure International. Sun & Moon Box: True Botanicals Subscription Is Next Level!